The publishing of this book coincided with an exhibition in the University of Pennsylvania Museum entitled “Amarna: Egypt’s Place in the Sun”, which was a chance to display many items from the museum’s own collection at a time when the “Tutankhamun and the Valley of the Kings” exhibition was making headlines in the United States. 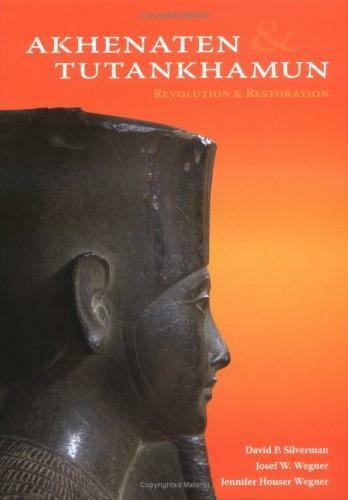 The book is a good summary of the reign of Akhenaten, with the latest views and research on this fascinating period, although this may be familiar ground to many readers, as there are have been a number of books on this subject published in recent years. Interestingly, Tutankhamun, who shares the title, is allocated only one chapter at the end of the book, whereas Akhenaten and his period is allocated eight chapters. 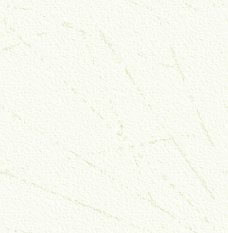 The chapter on Akhenaten’s city of Akhetaten is illustrated with many excellent plans, line drawings and computer reconstructed scenes, which really help to make sense of the buildings and life there. The book is well-illustrated throughout, with many objects from the museum’s own collection (it is always nice to see objects that may not have been published in other books on the subject) as well as many more familiar pieces. Most of the images are very good, but just a few are, for some reason, very dark, which does spoil an otherwise good book. Published by University of Pennsylvania Museum of Archaeology and Anthropology Publications, 2006. 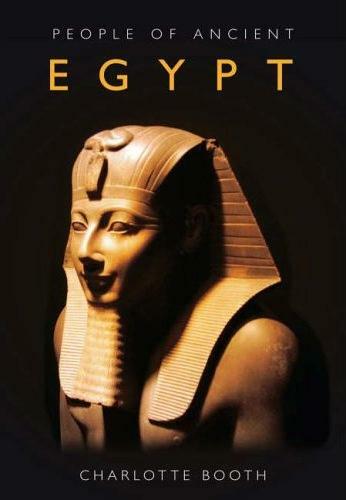 The aim of this book is to “… highlight some of the individuals who made up ancient Egyptian society …” and to ensure “… that by the end of this volume the people of Egypt will be more alive and accessible to the reader.” Twenty biographies of individuals from the range of ancient Egyptian history are selected. One of the problems is, of course, who to include in such a short list – and I suppose different authors would chose different people – so we have seven pharaohs, Tety from the Old Kingdom and the others from the New Kingdom: Ahmose, Akhenaten, Tutankhamun, Horemheb, Rameses II and III. Queens Hatshepsut and Cleopatra are listed, along with some private individuals, including Imhotep, Senenmut and Rekhmira, whose names may be familiar to readers. There are a few others, including two priests and one Chantress of Amun, who are best known because of recent detailed examinations of their mummies. So the choice has to be arbitrary. Khufu, Amenemhat III, Senusret III and Amenhotep III might be upset at being omitted, and especially Thutmose III, when Rameses II is described in his chapter heading as “the greatest king of the New Kingdom” a title that, in this reviewer’s opinion, should belong to Thutmose III alone. (Although he is not included in the book, an image of Thutmose III does feature on the cover.) Another problem, of course, is that we actually know very little about the lives of some of the pharaohs, which makes telling the stories of their lives difficult. Inevitably, one has to include many generalities and a list and description of surviving monuments/objects associated with that person, and, especially in the case of Tutankhamun, of his tomb. Much of the factual information in this book has been published before, but the details are usefully drawn together in one volume and there is a good list of “further reading” titles for each chapter, if readers wish to find out more about the subjects. The chapters on the non-royals perhaps give the best insight into life in ancient Egypt, especially the chapters on Natsef-Amun, Horemkhensi and Asru (though it is a pity that no photographs of the mummies and the facial reconstructions made of them were included for the first two. It is also a pity that some of the photographs of objects from the Luxor Museum are not in sharp focus). For readers who need a summarised introduction to some of the individuals of ancient Egypt, this is a good, if selective publication. 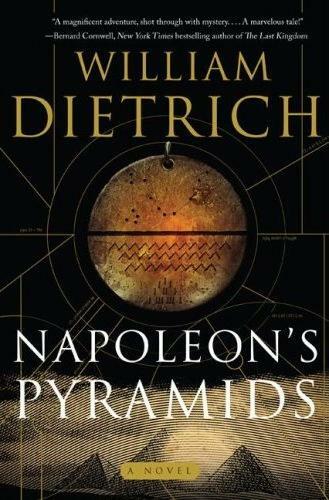 This novel has a plot not dissimilar to an “Indiana Jones” film and offers enough sound historical content to satisfy those who are knowledgeable about ancient Egypt and the Egyptian campaign of Napoleon Bonaparte. The main character is the young Ethan Gage, a former protégé of Benjamin Franklin, who unwittingly sets off on a path to danger and adventure when he wins an ancient medallion during a Parisian card game. Attacked by people wanting to steal the medallion, Gage flees Paris and joins Napoleon’s military expedition to Egypt. by those who want the medallion for themselves, and encountering all manner of danger and intrigue on the way. AE readers will know that the 1798 French expedition is considered by scholars to be a turning point in French and Egyptian history. It also marks the birth of Egyptology as we know it, thanks to the discovery by French soldiers of the Rosetta Stone, which was to prove the key to deciphering hieroglyphs. 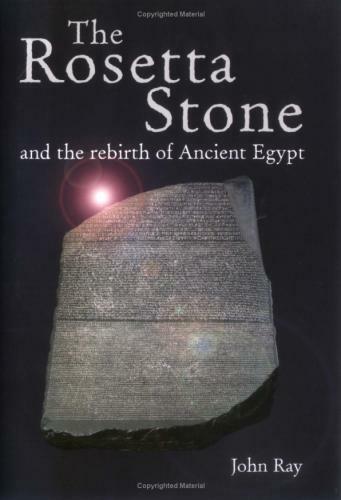 For the real story of the discovery of the Rosetta Stone, found by the French and then taken by the British, and a good account of how the text on it was finally deciphered, one could do little better than read this excellent little book. The work of Thomas Young and, of course, Jean-Francois Champollion and their struggle to decipher the text is described, but the author asks, “What is the real story of these men’s rivalry, and who deserves the greater credit?” The Stone, and the work of Young and Champollion, enabled the Western world to understand the ancient civilisation, hence its importance and iconic status. The final chapter poses the delicate question of who really owns the Rosetta Stone, which has been the most visited object in the British Museum for the last two hundred years. Published by Profile Books, 2007. 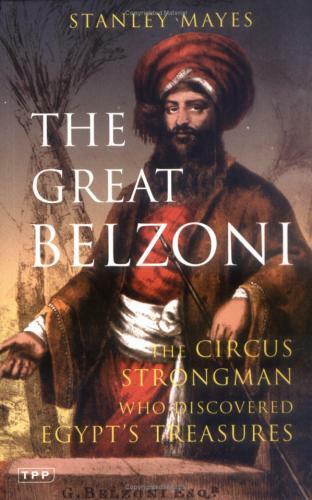 This is a comprehensive account of the extraordinary story of Giovanni Belzoni, engineer, barber, monk, actor and circus strongman who became one of the giants of nineteenth- century archaeology. Whist his archaeological techniques left much to be desired when compared to more modern methods, his exploration of Egypt and his thirst for knowledge and for collecting antiquities had a great effect on the Western world and led to an increased interest in ancient Egypt. The list of his achievements is impressive, from his discovery of the tomb of Sety I in the Valley of the Kings, to being the first man in modern times to enter the temple of Rameses II at Abu Simbel. Often described as the original “Indiana Jones”, Belzoni’s exploits continue to amaze and impress. Published by Tauris Parke Paperbacks, 2006. 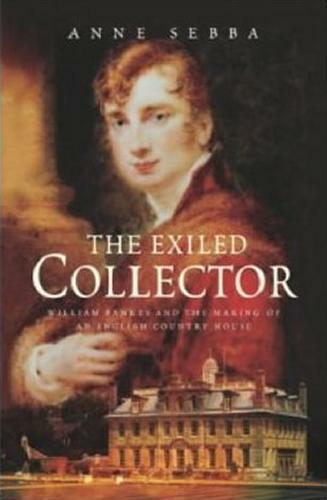 One of the great nineteenth-century collectors, William Bankes left the shores of England after being caught in compromising circumstances with a guardsman in London’s Green Park. He travelled extensively, and visited Egypt, which was becoming increasingly popular, especially with those who developed the growing passion for collecting antiquities. Egypt does feature strongly in this book, but Bankes’s other journeys are equally fascinating. Many of the items collected by Bankes can still be seen in his house, Kingston Lacy in Dorset, now owned by the National Trust. Many Egyptian objects are now on display in a special room dedicated to Bankes’s stay in Egypt. Published by John Murray, 2005. This little book is one of the British Museum’s “Objects in Focus” series. The Cat in question was owned by British Army Major and avid collector of antiquities, John Gayer- Anderson and was donated to the Museum in 1947. 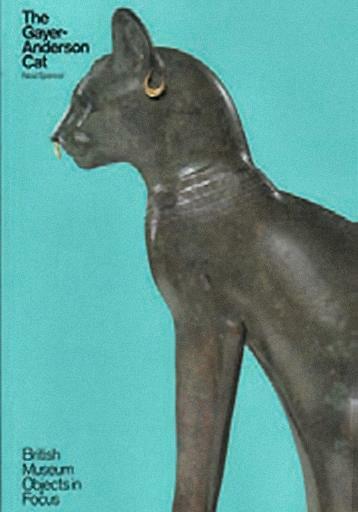 It is undoubtedly one of the best bronze cats to survive from ancient Egypt and has been one of the most admired objects in the Egyptian collection of the Museum. Following a recent full study of the cat for the first time, which involved taking X-rays, the full (and traumatic) history of the cat in modern times can now be revealed. Well-illustrated, this book is a delight and demonstrates how much information can be gleaned from the close study of just one object. This is number 29 in the excellent Shire Egyptology series of books. I really cannot recommend this series, and this book, enough. Each of the Shire books is a concise, well-written and illustrated summary of the subject, with a good bibliography for further reading, and this new volume is no exception. The subject is interesting, but often seems to warrant only a page or two in books on life in ancient Egypt. include wrestling, dancing and hunting. At a more than reasonable price, this Shire volume (and any others you can find) should be at the top of anyone’s book-buying list. 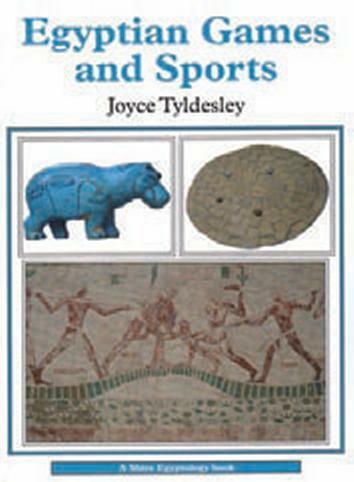 Published by Shire Egyptology, 2007. 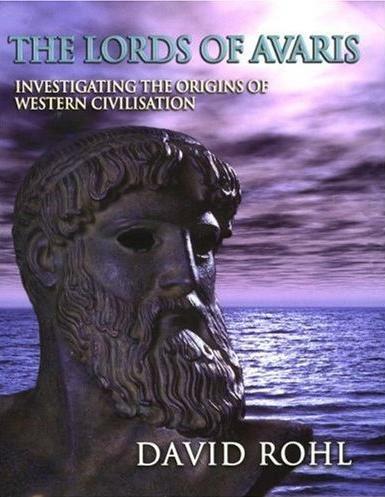 This work is the latest instalment in David Rohl’s series promoting his New Chronology hypothesis. Previous volumes have concentrated on attempts to connect ancient Egyptian history with that of the Bible, and to show that the stories there are based on real events. Now he seeks to do the same for the world of ancient Greek legend. The book is divided into four parts, the first of which concentrates on the reigns of the Hyksos kings. It is Rohl’s contention that there were two separate Hyksos invasions of Egypt: the first by groups from Canaan and Phoenicia which become the Fourteenth Dynasty, the second by Greek-led invaders who form the Fifteenth Dynasty. He also contends that Queen Ahhotep, mother of Ahmose, can be identified with the Greek princess Io (which can be vocalised as Yah). In Part Two, he argues that when the Hyksos were finally expelled, some of them returned to their homelands. This is represented on the famous “sea captain” fresco in the West House on Thera, and the famous gold masks of Mycenae are from the tombs of these re-interred Hyksos kings. Part Three deals with the events surrounding the Trojan War and Part Four the great migrations that followed it, including the coming of the Sea Peoples, the journey of Aeneas from Troy to Italy and the eventual founding of Rome. in 864 BC the story can flow smoothly on to Aeneas’ journey to Italy and the subsequent founding of Rome in 753 BC as traditionally claimed. This is a book that will divide opinion. For advocates of the New Chronology it will be seen as a tour de force by Rohl, while for opponents, the claims to connect up ancient history on the basis of “unreliable myths” will be dismissed as irresponsible and the chronology scheme as unworkable. The book certainly requires the reader to work hard to keep the thread going through the lists of unfamiliar names. We are taken through not only Egyptian but Hittite, Minoan, Mycenaean, Luwian, Trojan, Greek and other civilisations. In an age where specialisation leads more and more “experts” to know everything there is to know about one miniscule area of knowledge it is refreshing to find an approach that genuinely seeks to see the “big picture”. The Dark Age is an anomaly and Rohl has marshalled the case strongly against it, but the missing three hundred and fifty years have to be made up somewhere, and the squeezing of Dynasty Twenty and all of the Third Intermediate Period into a very short time-scale creates another set of problems. However, the book itself is extremely well-produced, with clear charts, photographs and captions to guide the reader along. It is an intriguing thesis, which my heart would love to be right, but I am not sure that many in the academic world are willing to engage in the debate. “Who Really Killed Alexander the Great” is more of a pamphlet – but with a fiendish cover – than a book, although the best things always come in small packages. It can be ordered as a traditional paper version or downloaded. It sets out to answer a very simple question, and succeeds admirably, but there’s a definite “sting” in the tail for lovers of that sort of thing! When someone famous dies young there is always a massive sense of loss, and conspiracy theories inevitably follow. by the time of his death, Alexander had conquered most of the known world to the east and was contemplating further campaigns; had he lived, the Roman Empire may never have happened. The subsequent Ptolemies, who ruled Egypt for almost three centuries, left some of the best-preserved temples that modern tourists admire. 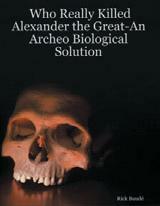 The author reviews the circumstances surrounding Alexander’s death and discusses the various suspects. Then, by reviewing the various ancient texts, he tells us exactly how he was killed and “whodunnit”. This reviewer isn’t going to spoil the fun, except to say that you’ll be slapping yourself and saying “Doh!” when you get to the end. www.lulu.com/content/676483 Price: paperback, £4.41, download £1.65. Michael Tunnicliffe is a freelance lecturer in the North West of the UK. He specialises in ancient history and in Biblical studies. John Wall has a lifetime’s interest in ancient Egypt, has presented many papers on various aspects of Egyptology in the UK and abroad, and has contributed articles to AE.